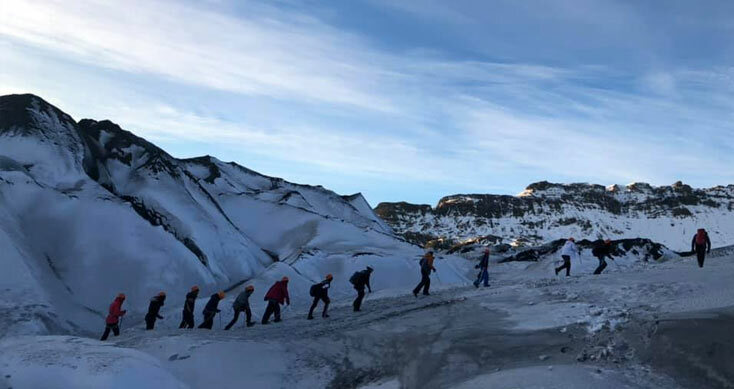 Adele from Arctic Education is talking all about Iceland, one of the most geologically active regions your class can visit on your next school expedition. Hi Adele, Iceland has long been the go to destination for students around the world. What makes Iceland so appealing? Straddling the Mid-Atlantic Ridge and moulded by ferocious natural forces, Iceland is the Land of Fire and Ice. The land of hardly any trees, of merciless winds and the home to some of the strongest people in the world including Hafþór Júlíus Björnsson of Game of Thrones and World's Strongest Man fame. 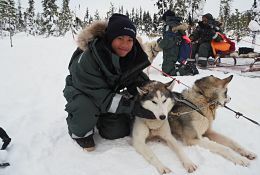 Which different curriculum topics can be built in to a school tour to Iceland? Iceland really does have something for everyone, it's not all about Geography in Iceland like people think, there is much more to the country than that. For English students there are the renowned Sagas of Icelanders which are also more commonly known as family sagas which are mostly based on historical events that mostly took place in Iceland in the 9th, 10th, and early 11th centuries, during what is known as the Saga Age. There are stories of trolls and elves, some fantastic poetry and the hugely important Edda, perhaps one of the most important pieces of medieval literature in the world. For film and media students, there are some great locations and many films have been made in Iceland from The Secret Life of Walter Mitty to Game of Thrones. For Art students, Reykjavik has established a worldwide reputation as an imaginative hub for new and established artists. And of course, Iceland ticks so many boxes for Physics and Geography that your students really shouldn't miss it. This isn't an exhaustive list, we can generally build most curricular themes into trips – just ask! A good chunk of Iceland's power comes from geothermal energy. Is there the opportunity for students to learn more about this on a trip to Iceland? Absolutely! Iceland is perhaps one of the most dynamic volcanic regions in the world. 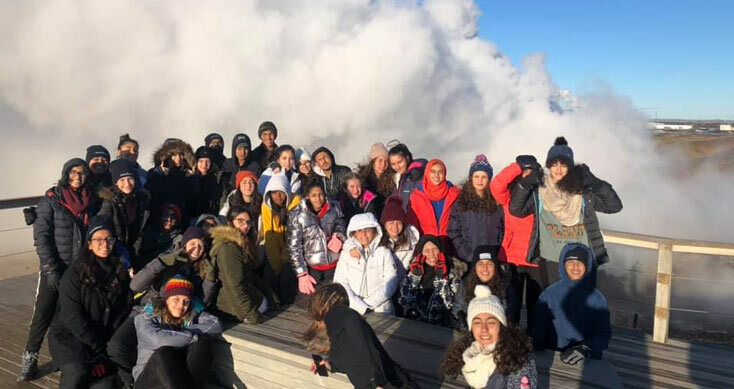 Depending on the package, as all of our tours are tailor made to the requirements of the school, we visit the Hellisheidi Geothermal Power Station which is the third-largest geothermal power station in Iceland and only around 30 minutes outside Reykjavik. We also get to see this geothermal energy in action at various times throughout our trips – be this the heated pathways of Reykjavik in winter or seeing the amazing geyser eruptions. Where do students generally stay in Iceland and how much of the island will they visit? This really depends on the length of the trip and the objectives for students. There are lots of combinations however we tend to do a night in Reykjavik so as to have some time in the City and visit some of the fantastic museums and other interesting sights. Then we'll base a couple of hours outside Reykjavik in comfortable accommodation with great facilities so we're closer to nature. This means we're closer to places like Vík, with the famous black sand beach. For our longer tours we may even head to Jökulsárlón, the glacial beach, or beyond. Generally the main areas which are helpful to school programmes can be all found along the South Coast. 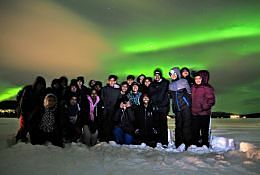 Can you tell us about some of the more popular excursions in Iceland and what makes them so popular for school groups? The Golden Circle is a not to be missed tour and lets students really see the rawness of Icelandic nature. Many people ask about the Blue Lagoon which is very popular though we tend to recommend other places which are better value and much more authentic. 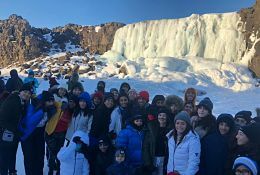 There are the glaciers, the volcanos, the black sand beaches, the icebergs, the horses, whale watching… there really is so much to see and do that is often so different to what students would do back home, there are many excursions that could make this lest! 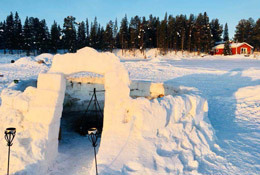 Arctic Direct uses local tour guides. How does this improve the Iceland experience for students over a trip led by the school's own geography teacher? Icelanders are hugely proud of their country and this really shines through. Working with local guides is really important as they can tell the story of Iceland through their own eyes. Not just that but to become a tourist guide in Iceland you have to become certified. 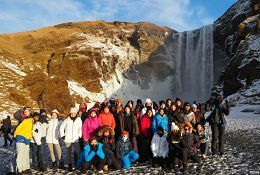 Guides have graduated from one of the three programs that offer tour guide education: The Iceland Tourist Guide School, The Icelandic School of Travel and Tourism or The Tourist Guides Program with in the Continuing Education Department at the University of Iceland. Owing to the comprehensive training the guides receive, teachers can take time to enjoy the trip alongside their students. When schools are planning when to travel, they are often restricted by holidays, but is there a good time of year to visit Iceland? For schools looking to travel to Iceland we generally recommend they look at Feb – Early April and September – October. The summer period, late April – August is peak period in Iceland which tends to see higher prices November – January is feasible however the weather in Iceland is unpredictable and these months tend to see the most challenging conditions and it can lead to disappointment if tours have to be changed or cancelled – as you'll imagine if the wind is blowing at 50kmph, it's not safe to take students onto a Glacier so we have contingency plans but safety always comes first. Can the Northern Lights be seen from Iceland? And is there a good time to catch them? Being located very close to the Arctic Circle, Iceland experiences long winter nights and long summer days, with almost 24 hours of darkness/twilight in December and nearly 24 hours of daylight in June. Because of this, Iceland is a great place to see both the Northern Lights and experience the Midnight Sun. Though, both of these can be made difficult to see thanks to Iceland's ever-changing weather. How do you view the balance between the environmental impact vs economic benefits of tourism on the island? Iceland is very proud of the nature and we very much support the preservation of the environment. 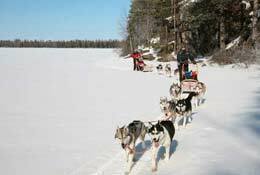 We use eco-friendly hotels and environmental issues work into the tours we use. We are also able to offer tree-planting. Although Iceland has very few trees this is because the first settles chopped them down and they grow very slowly in the harsh environment. In conjunction with the local nature authority we are able to offer students to positively contribute to the local environment by planting trees to offset their carbon footprint and help restore Iceland's forests. And finally, what is the food like? Is it all burgers and pizzas or are there some local delicacies to try? There are no McDonald's fast food restaurants in Iceland, there used to be one but after the financial crash of 2008, the one McDonald's restaurant in Reykjavik closed down. You can of course burgers in Iceland and these tend to come from Hambórgarabúllan – a really popular and local burger fast food chain. Iceland has some really bizarre traditional Icelandic foods. Along with things like whale, puffin, and dried fish, visitors can also try fermented shark, sheep's head, and even pickled ram's testicles. The even weirder part is that some of these dishes can be found in most kind of restaurants in Iceland. We usually have a pizza night during our trips which is a firm student favourite and, if pickled ram's testicles aren't to yours or your student's tastes, the most popular food in Iceland are Hot dogs. 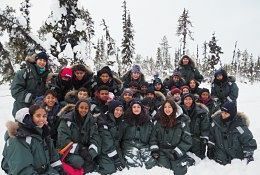 If you are interested in hearing a bit more about how Arctic Direct can help you with a school group tour to Iceland then why not get in touch here. Iceland, the land of fire and Ice is a perfect location for study tours of all kinds – from geology to geography. With diverse terrain and masses of learning opportunities at every step, Iceland is a really popular destination for students. This is an Exclusive package and only available to our School Groups. The week places emphasis on finding the champion within. 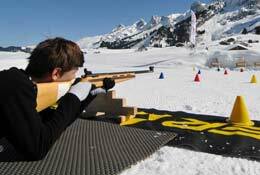 Giving students the opportunity to try their hand at a host of activities which feature in the Winter Olympics.